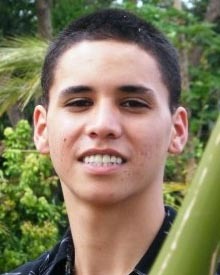 Big Island police are asking for the public’s help in locating a 20-year-old Hilo man who was reported missing. Charren Kaeo Ornellas is described as part Hawaiian, 5-foot-8, about 130 pounds with short black hair and brown eyes. He was last seen wearing a black tank top, black surf shorts and a black hat. He has a tribal tattoo on his upper left arm and the name “Ornellas” on his upper back. He was last seen at a home on Leilani Street in Hilo around 8:30 p.m. Thursday and reportedly left following an argument. Police ask that anyone with information on his whereabouts contact Detective Ernest Matsumoto Jr. by phone at 961-2379 or by email at ematsumoto@co.hawaii.hi.us.